Further evidence was revealed in Turkey earlier this month accentuating the long-held ambitions of the corrupt President Recep Tayyip Erdoğan to steer the Muslim world, or Ummah as it is called in religious discourse, into sort of a caliph-like leadership position. Away from the spotlight, his close advisors convened a gathering in Istanbul of Islamists from various countries to cultivate and promote the idea of an Islamic union to be spearheaded by the Turkish president as early as 2023. 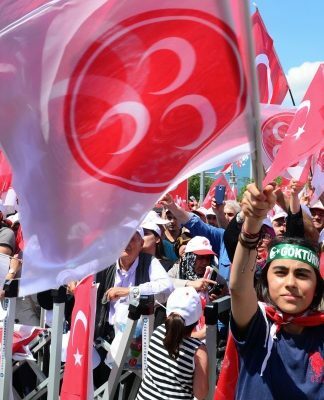 Not surprisingly the Muslim Brotherhood’s international network has been tapped as the main conveyer for fulfilling the Turkish leader’s dreams of creating proxies all around the world to gain leverage and achieve his own political goals. The remarks of Erdoğan’s close confidant Nureddin Nebati – a former lawmaker who is now working for the government as deputy minister of Turkey’s Finance and Treasury Ministry, which is headed by Berat Albayrak, Erdoğan’s son-in-law – summed up the real motivation behind this brainstorming event that was officially described as the “Islamic Union Congress” in the megacity of İstanbul. Unfortunately, the Islamic world is in disarray, but the Turkish nation was offering Erdoğan as an imam to lead all Muslims, and he cannot be defeated because Allah backs him, Nebati said in a carefully worded speech while comparing the Turkish president to the lead bead in the Islamic tespih (misbaha, or prayer beads that are used by Muslims to recite and count their prayers, which are in a sense similar to the rosary used by Catholics and the japa mala by Buddhists and Hindus). According to Nebati, Erdoğan is the promised and expected leader to bring all Muslim nations together just like fixing disjointed prayer beads in a tespih and bringing them around the lead bead. The most worrisome part is that Erdoğan’s close circle has a real conviction in this mission and is committed to making it happen. For them it does not matter how cynical and ridiculous it sounds, given the fact that Erdoğan’s leadership has practically nothing to do with fundamental Islamic values. 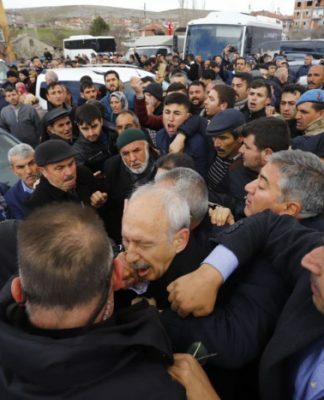 The Turkish president’s loyalists defy logic and reason and are apparently blinded by the zealotry in religious and extreme nationalist discourse. 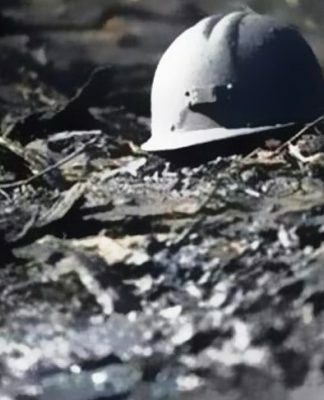 The truth of the matter is that this regime is immersed in corrupt and crony capitalism, symbolized by large-scale corruption, and is engaged in massive human rights violations that have resulted in jailing over 60,000 innocent people including some 10,000 women, 743 babies and 240 journalists within the last two years alone. 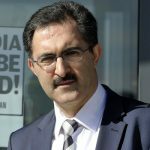 The main organizer of the event that drummed the beat for the caliphate in all but name was the Strategic Research Center for Defenders of Justice (Adaleti Savunanlar Stratejik Araştırmalar Merkezi, or ASSAM), an Islamist outfit led by Erdoğan’s chief military advisor Adnan Tanrıverdi. This 74-year-old man is a retired Islamist lieutenant general who has orchestrated the purge of 15,153 officers including 150 generals, mostly pro-NATO staff, from the Turkish military since 2016. In this endeavor he was helped a great deal by a neo-nationalist network headed by Doğu Perinçek, a pro-Iranian operative who struck a deal with Erdoğan to share power in the government, especially in the judicial branch, and in the military. Tanrıverdi is a highly controversial figure because of his role in establishing a paramilitary force called SADAT to do the president’s dirty bidding in Turkey and abroad. With generous support from Erdoğan’s notorious intelligence agency MIT (Milli İstihbarat Teşkilatı), he has trained, armed and supported jihadists to fight proxy wars from Libya to Syria. He also addressed the audience at the Istanbul event, which was held at the Wow hotel near Atatürk Airport Nov. 1-3, 2018. 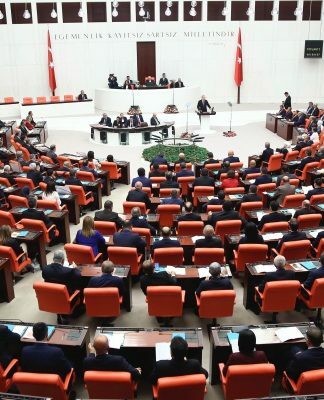 The meeting was financed by the Istanbul metropolitan municipality and other district municipalities controlled by Erdoğan’s ruling Justice and Development Party (AKP). National flag carrier Turkish Airlines as well as state-lenders Vakıf and Ziraat pitched in to cover the expenses for the guests who came from 28 countries including Russia, India, Bosnia and Herzegovina, Saudi Arabia, Egypt, Sudan, Nigeria, Malaysia and Kazakhstan. The declaration issued at the end of the three-day marathon meeting explains the main purpose as creating a super Islamic power that consists of 60 countries and 1.6 billion Muslims and that would have control of 12.8 percent of the world’s total land territory. The bloc, according to organizers, would also enjoy control of 55.5 percent of the world’s oil reserves and 64.1 percent of natural gas resources. The group believes there is an ongoing and undeclared World War III against Islamic countries and accuses the United States, the European Union and the Russian-led the Commonwealth of Independent States of trying to assert control over the Muslim world by using proxy terrorist groups. Tanrıverdi himself claimed Israel was established as a frontier garrison for Christians in the heart of the Muslim world as part of a religious crusade against Muslims. Not surprisingly, the International Union of Muslim Scholars (IUMS), a Muslim Brotherhood-linked organization and the brainchild of pro-Erdoğan cleric Yusuf al-Qaradawi, who endorsed suicide bombings and armed rebellion in Syria, also participated as a partner in the event. IUMS, listed as terrorist group by Saudi Arabia, the UAE, Egypt and Bahrain, has been branching out in Turkey with the generous support of the Erdoğan government. Ali Muhiuddin Qara Daghi, general secretary of IUMS, who established himself in Turkey and often poses as a VIP at government events, was among the speakers at the Istanbul event. He praised Turkey as the leader of Muslim nations and claimed Arabs could have very well united in the aftermath of revolutions in 2011 from Morocco to Yemen if the attempt had not been crushed. He bragged about how Turkey has changed under Erdoğan’s rule in a short period of time, urging changes in the education curriculum to reflect jihadist ideology. 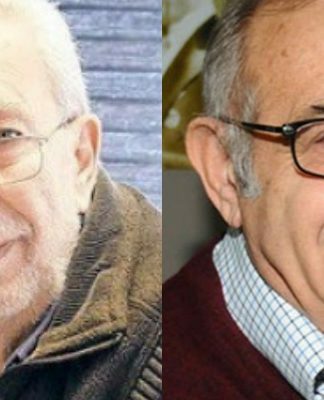 Muhiuddin Qara Daghi (known as Ali Karadaği in Turkey) was parroting what his master Qaradawi, who was invited to Turkey several days after the event to lead the IUMS international convention in Istanbul, has been saying all along about Erdoğan. On Nov. 4, 2018, right after Erdoğan’s advisors wrapped up the ASSAM event on the Islamic union project, Qaradawi appeared in Turkey to give what he described as a farewell speech to some 1,500 IUMS participants from 80 countries, announcing that he was stepping down as chairman of IUMS. He devoted considerable time in his speech to Erdoğan, praising him as the leader of the Muslim Ummah and asking all to support and pray for him. He was honored by Ali Erbaş, the top government imam who leads the multi-billion-dollar Directorate of Religious Affairs (Diyanet), which controls some 90,000 mosques in Turkey and abroad and employs close to 150,000 imams. The convention symbolized the close alliance of the Muslim Brotherhood with Turkey’s Diyanet. Shortly after the IUMS convention, Qaradawi appeared with Erbaş at another event in Istanbul under the European Council for Fatwa and Research, a Dublin-based entity that is also aligned with the Brotherhood. As expected, Qaradawi gave his blessings to Erdoğan’s ambitions to claim the leadership of the Islamic world and said Erdoğan and his associates in the government would shake up the Islamic world, rush to the aid of Muslims around the globe and put a stop to attacks on Muslims. He lashed out at Saudi Arabia, bashing the Saudi leadership for targeting the Muslim Brotherhood, including himself, and maintained that the country’s behavior has nothing to do with Islam. At the IUMS convention Hayrettin Karaman, the Turkish equivalent of Qaradawi and chief fatwa (religious edict) giver and advisor to President Erdoğan, was elected deputy president of IUMS, while radical Moroccan cleric Ahmed al-Raissouni was chosen as president. Karaman, an 84-year-old Turkish cleric, issued highly controversial opinions in the past, branding those who vote against Erdoğan as enemies of Islam. He whitewashed Erdoğan when the latter was exposed in a multi-billion-dollar corruption and kickback scheme in December 2013. The cleric also advocated the view that Turkey needs to have nuclear and other weapons of mass destruction to deter Western enemies and work on achieving Muslim unity. It is clear that Erdoğan’s advisors plan to continue holding a series of unity conferences in Turkey every year until 2023, when Turkey will celebrate the centennial of the establishment of the republic. Perhaps Erdoğan ironically wants to leave his mark during the centennial celebrations and set the course back to caliphate days of the Ottoman Empire. 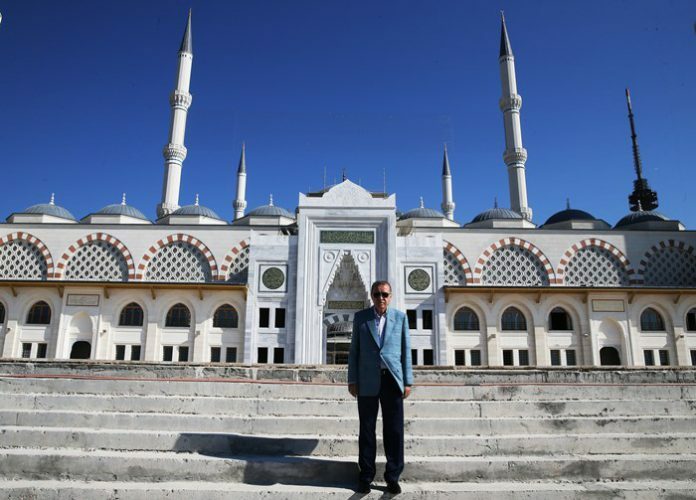 This year Tanrıverdi and other aides and associates of Erdoğan have already entertained the idea of creating a common market and economic area among all Muslim nations, following a discussion of the principles of governance structures last year. The next year’s agenda will be about developing cooperation in the defense industry, while in 2020 participants will debate a joint defense doctrine and try to determine the procedures and fundamentals of such common defense policies. It will be followed by a discussion of how to establish common foreign policy in 2021. The joint judicial system and common law enforcement areas will come in 2022 and 2023, respectively. Erdoğan’s dream of leading the entire Muslim community is not just reflected in the narrative of government officials but in fact is also represented in policy decisions and actions. This troubling pattern can be seen in every sector of Turkey, from education to social policy. Surely Erdoğan and his associates are bent on exporting their poisonous political Islamist rhetoric, which has undermined all the institutions in Turkey, polarized the nation and deeply fragmented the diverse structure of Turkish society. They have already deepened the fault lines among Turkish and Muslim diaspora groups in the West, provoked Muslim minorities in Asia and lured some groups in Africa with aid and development schemes. If he is anything, this caliph-wannabe clown is certainly not a uniter but rather divider, and he cares only for maintaining his personal wealth that was accumulated through kickbacks, thievery and corruption. He is obsessed with amassing power at the expense of checks and balances and loves an extravagant lifestyle for himself and his family members. I hate to see this. I spent 2 semesters as a visiting professor in Istanbul black in the late 90’s. I came to like my students and my faculty colleagues. This is not going to be good for them.